Compatible With American Girl 18" Doll - Coral Pajamas & Bunny Slippers Only $15.95! You are here: Home / Great Deals / Amazon Deals / Compatible With American Girl 18″ Doll – Coral Pajamas & Bunny Slippers Only $15.95! Compatible With American Girl 18″ Doll – Coral Pajamas & Bunny Slippers Only $15.95! 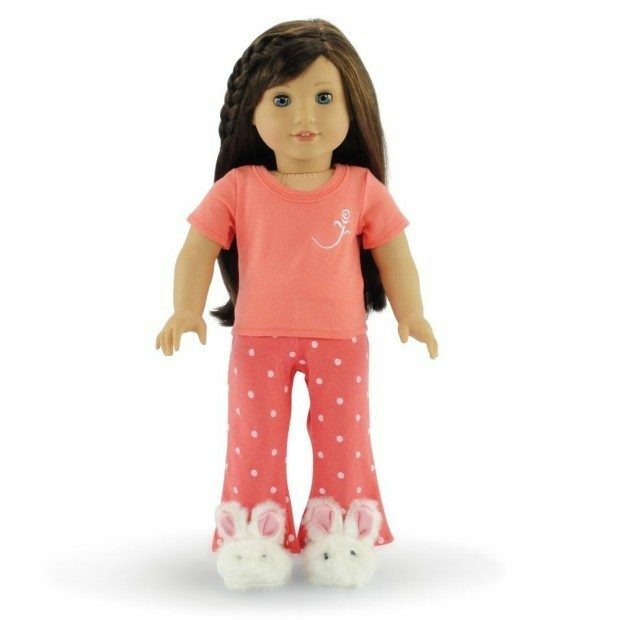 Head over to Amazon and order the Compatible With American Girl 18″ Doll – Coral Pajamas & Bunny Slippers Only $15.95! Down from $21! Shipping is FREE with Prime or on orders of $35+. Don’t have Prime? Try a 30 day FREE trial!